Where to begin? What should be included? What’s the best format? These are the kind of questions that face marketers either preparing their first marketing plan or intending to produce something more robust and professional than previously. There is ultimately no one correct format for a marketing plan, but there are clear rules about what should be included and some commonly accepted guidelines as to the structure and flow of a good marketing plan. One of the most obvious decisions to be made at the outset concerns the type of document that is to be produced – most frequently the choice is between a Word or PowerPoint format. Each has advantages and disadvantages. A Word document can be produced in a conventional report format, to be read and referred to throughout the planning period, frequently in a physical format. The risk is that it can balloon to a substantial size and, once it has been presented and agreed, will reside – gathering dust – in a drawer and/or computer file until it is needed as a reference document for the next year’s plan preparation. 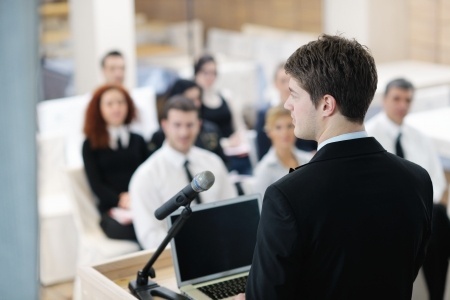 A PowerPoint document has the immediate advantage that it – or sections of it – can be presented easily. In addition, the format encourages precision and summary, allowing easier assimilation of content and argument when reviewed. A feature of PowerPoint, that is often neglected, is the facility for providing a written commentary in the Notes section below each slide. This allows the finished document to be used as a self-contained written plan, with a clear explanation of the slides and the addition of reference material where appropriate. A printed copy can, of course, also be made. A PowerPoint-based plan is the ideal basis for presentation purposes and can be easily tailored to different audiences by adding or removing sections or individual slides. The Notes section provides a useful presentational aid as well. One disadvantage of the PowerPoint format is its more discontinuous nature in a non-presentational situation, compared to a Word document, which may be less satisfactory for some target audiences. An example of an appropriate format for a PowerPoint-based marketing plan can be found here: Completing the Marketing Plan (to download right-click/save as on a PC; on a Mac press Apple/S). To assist you in completing the relevant sections a commentary has been provided here: Completing the Marketing Plan Commentary (to download as above). It takes time and practice to develop good marketing plans – Rome wasn’t built in a day! Use the materials on this website to help guide you.